Posted on Monday, June 25th, 2018 at 8:37 am. 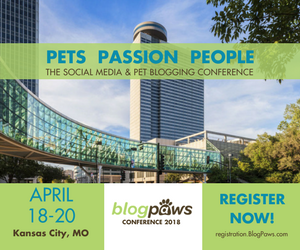 After months and months, and possibly years of hard work, the countless bag of treats to bribe your furkids with and many late nights of creative writing, you’ve finally created a blog and social media platform that reaches thousands of readers and viewers in the pet community. You’d love to take your brand to the next level as you know that your current set up—camera phone pictures and free stock photos—can only take you so far, but where to start? You’ve been looking to upgrade your camera equipment, but you’ve been putting it off for quite some time because it seems so complicated! Nikon, Canon, Fuji, Sony; cropped sensor, full-frame, sensorless; and fisheye, wide-angle, zoom, prime—what do these even all mean?! Well, if you’re reading this right now, you’ve come to the right place. Adds Authority and Professionalism to Your Brand. Humans are visual by nature. When we’re Googling a topic, and we stumble across two websites with similar content but different aesthetics, which website is going to attract our attention more—the website with the professional looking photos, or the website with photos that are underexposed, blurry, and just plain bad? Okay, the latter may attract our attention more, but it will definitely be for the wrong reasons! With that said, professional looking images translates into professional looking site increased perception of authority of whatever your brand is about. Save Time. Coming up with creative image ideas and setting up “the shot” is already crazy time consuming as is, so why waste even more time trying to get the shot using a camera that shoots at whatever setting it feels like? Rather than leaving it to guesswork setting by your phone, by learning and using a camera with manual settings, you’ll know how to create the shot that you’ve envisioned exactly in minutes. This also leads me to my next point. Every try to capture a photo of your pet while they’re moving? Or try to take a photo of them when there’s not a whole light left in the day? Yeah? What do you get? If I had to guess, it’d probably consist of a bunch of blurry shots, grainy shots, and glowing-eyed pets. By understanding the different settings on your camera, you will be able to capture images in all the above type of conditions. Branding Consistency. Once you develop your style, your images will have a high-quality, consistent feel to it, which will make your brand instantly recognizable to others! This is another article in itself on what kind of camera to get (sensorless vs sensor), camera brand (Nikon vs. Canon), and what type of lenses (prime, zoom, etc. ), so I’ll just leave you with a couple of questions and points to think about when you’re researching what to guy. Are you looking for a camera to grow into? Or simply a camera that will take higher quality images than what you’re producing now? Invest in the glass! Aka lenses. If you’re planning on purchasing a camera with interchangeable lenses, invest the money in the lens. Camera body technology is constantly evolving every year, so what may be the latest cutting technology that year will soon become outdated the following year. With lenses, you can always use them on subsequent models of cameras, and not to mention they also affect the quality of images you can take, too! Your images are amazing! People will tell me. And like them, I used to think the images that professional photographers took, looked like that straight out of camera. That is until one of my friends burst my bubble and told me, “Nope, Kat. These images are post-processed.” Cue record stop. I know, right? So here, we’re going to go over some commonly used software for photo editing, as well as a few different variables that you can adjust using said software, which will affect the overall look of an image. When you’re editing your images, a lot of these adjustments will come down to personal preference, and there’s no right or wrong way. It’s whatever your “style” is– which will contribute to your brand! There is both paid and free software that you can use for photo editing. For this article, I will only be going over the paid software, aka Adobe Lightroom and Adobe Photoshop, because that’s what I know and use. If you’re looking for free software, because yes, the software can be expensive, a simple Google search will turn up different options. Adobe Lightroom is a program that was designed specifically for photographers in mind. The workflow is easily set up so you can tweak the characteristics of an image in a matter of seconds (more on this below). For some people, Lightroom will be the only program you need. Adobe Photoshop has more tools and capabilities than Lightroom, most which you will rarely use. While you can use this program to make the same edits as in Lightroom, it can be trickier since the layout of the tools isn’t set up in the most intuitive way. For my workflow, I actually use Photoshop after I finish all of my basic edits in Lightroom. I will use the healing/clone tools for cleaning up the images of dander, loose fur, leash, etc. Lightroom also has a spot removal tool, but I find Photoshop to be much much easier to use for this type of editing. Hey there, my name is Kat. I’m an on-location, all natural light pet photographer based out of the Detroit, Michigan area. I specialize in capturing the personality of pets and documenting the bond that they have with their hoo-mans across the country, including NYC, Chicago, San Francisco, and Los Angeles. Inspiration behind the business: A lifelong love of animals and photography, plus a growing appreciation of what it really means to have beautiful and timeless images of a beloved pet, convinced owner and photographer, Kat Ku to focus solely on photographing animals and their humans. Each client that Kat works with receives personalized one-on-one time to truly understand the personality of the pet(s) she will be photographing. This results in her creating professional and meaningful images that not only capture each individual pet’s personality but also the special, subtle dynamic relationship that they have with their human(s).